In 1946, attending college was not in Ed Benton’s sights. The clerk gave Benton money out of his own pocket to obtain his high school transcript from Colorado Springs High School. After he looked it over, he asked more questions. After Benton responded no repeatedly, the clerk told him he didn’t want to be a Yellow Cab mechanic and arranged for him to meet Henry Mathias, dean of admission at Colorado College. Mathias offered Benton the Lowell Elementary School Scholarship and funds to pay for admission with the agreement that he’d work summers to repay part of the funding. But when Benton returned to the shed, his grandmother was none too pleased to learn he hadn’t secured the job. “College meant nothing to her,” he says. Fortunately, it meant something to him. Eager to make the most of his admittance to CC, he took course after course in his major. His faculty advisor, Douglas Mertz, encouraged the young political science major to broaden his studies. Benton signed up for Greek literature and Roman and Greek history classes with a young professor who had recently come to Colorado College to restart the classics program. That professor, Stephanie Jakimowitz, was later to become his wife. Mertz also urged Benton to apply for law school. Finally, after six years, he was able to move out of the shed. After law school, he met with his wife’s friend, William S. Jackson, who was chair of CC’s Board of Trustees and Chief Justice of the Colorado Supreme Court. Jackson called Harold Roberts, Class of 1908, a senior partner in a Denver law firm, and suggested he consider Benton for a position. Thanks to that introduction, in 1953, Benton became an attorney with Holme Roberts and Owen, where he worked throughout his career. The firm merged with Bryan Cave LLP in 2011 and currently operates as Bryan Cave. “The courses that I took at Colorado College developed a capacity to analyze, to think, and to draw judgments. That broad exposure to the liberal arts was very helpful when I got to Yale Law School. It’s been useful in my many years in the practice of law,” Benton says. After his wife passed away in 2010, he established the Stephanie and Ed Benton Endowed Scholarship with $500,000 to honor her memory. The impact of their generosity was multiplied through a match by the Walton Family Foundation during a five-year challenge in which the foundation pledged to match contributions up to $10 million for the establishment of scholarships for high-need or first-generation college students. 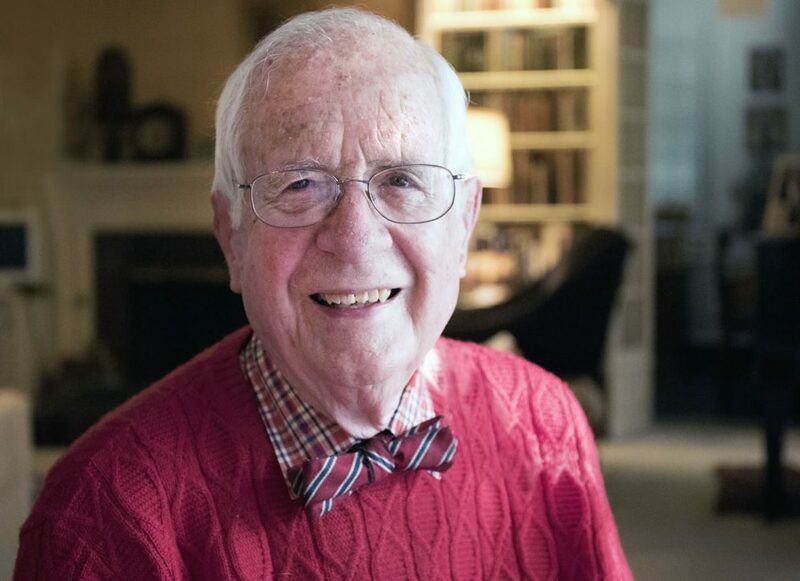 When he spoke at the 2012 Scholarship Appreciation Dinner, Benton, the 1950 CC graduate who had benefited so much from elders’ advice when he was a young man, proffered some advice of his own. “To the donors here, keep on going on with what you’re doing. To the scholarship beneficiaries, wherever you are, whatever you’re doing, however much money you have, mark some of it as a contribution to the scholarship program at CC to carry out your realization that you wouldn’t be here if it hadn’t been for the donors and their predecessors,” he said. Benton received an Honorary Doctor of Literature degree from CC in 1987.